I believe in the power of positive thinking and combine this with my experiences as lifelong swimmer, pro triathlete and personal trainer to push athletes beyond their limitations. My motto is “the body achieves what the mind believes.” I help athletes to realize their full potential through confidence building, finding life balance, and utilizing proper preparation that includes a balance of stress and rest. Together, we will ignite your inner athlete and prepare you to achieve. I am the head coach and owner of Total Intensity Sports, a Sacramento-based triathlon group. I coach individual athletes based on their goals and lifestyle, and create a personalized plan that meets their needs. We also offer year-round group training in the Sacramento area which includes track workouts, bike time trials, and open water swims in the spring/summer/early fall, pool swim clinics and indoor spin classes during the winter, and Saturday morning brick workouts year-round. 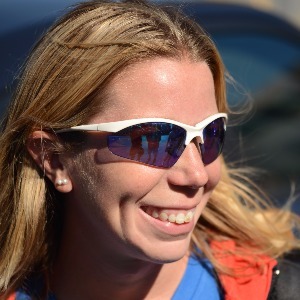 I am an Ironman-certified coach, a former pro triathlete, and was a collegiate swimmer and runner. I have 20+ years of swim coaching experience and have coached triathletes from ages 10-65 and at all levels and distances since 2010. I am also an ACE certified personal trainer and health coach. Success. Coach Jenni Pottebaum has been notified of your message.